Hypercolor Thinking Putty is thermochromic -- just a touch from your hands or a warm coffee mug will reveal a new, "hot" color. 4" Diameter Tin Made in USA I can't quite put my finger on it, but this is a really neat product. 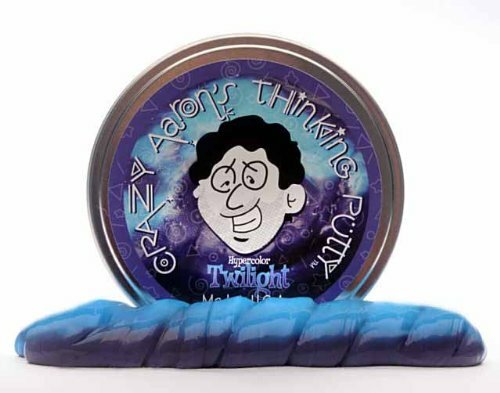 There is a big amount of putty, enough to split into two to allow you and a friend to play. It's a great product. I love the packaging. I love the ethics of the company. I can't wait to try their other products.